Adopting a pet can be a very rewarding experience that endures for many years. The fact that you’ll be able to save an animal’s life is a great reason by itself, but there are more reasons beyond this. The possibility is high that you will be able to adopt a great pet at a great bargain compared to buying one in a store or from a breeder. Also, you will be able to bypass buying a pet from a puppy mill—probably the most common way of breeding dogs. Many adopted pets are housetrained, which could spare an owner from some of the mess you will have to deal with when getting a new puppy. And with the internet, it is very easy to find the right pet for you and your family with just a few clicks of a mouse. Many shelters encourage prospective owners to bring the entire family to meet the adopted pet—including dogs already owned. You will have to fill out an adoption application, and pay the associated fees for the medical attention and care that the shelter has already provided. Here is a list of the top 3 places in Fairfax County to adopt a pet. People interested in adopting pets can go to the Fairfax County Animal Shelter, the only open access, municipal shelter in the county—where every lost animal is brought to. Their placement rate in 2013 was 92%, which actually makes Fairfax County the biggest jurisdiction in the entire country with an adoption rate over 90%. You can check out the pets available for adoption online. Prospective adopters can take a look at the pets available for adoption online. Applications for adoption and a list of adoption fees that cover the cost the care and medical treatment of these animals is also available on their website. You can fill out a dog adoption application in person after looking online at available cats and available dogs to adopt. Located at Weber’s Pet Supermarket. However, there are some obvious and not-so obvious questions to ask before making this serious decision. Have you asked yourself to list reason why you want to make an adoption? This is not a decision to be made on a whim. Adopting a pet is a decision that could require an owner to take care of a pet for even 20 years, and it is a good idea to plan ahead for this so your adopted pets do not end up back in the shelter. Do you really have the time for a pet? If you think you may be too tired or too busy to give a pet the love and attention they require, it could be better to wait until you’re really sure it is time to welcome a new pet into your home. Most pets have needs for water, food, exercise, companionship, and loving care—each day of the year. Many of the animals in shelters are there because a pet owner was not aware of how much time and attention their pet really needed. Can you afford to have pets? You should ask yourself, “How much is that doggie in the window?” The answer is: add up the total of pet food, training classes, licenses, vet checkups and care, toys, grooming, pet beds/bedding, kitty litter, and do not forget pet sitting expenses! The total can stack up and change dramatically depending on the size, species, and breed of your pet. Are you able to deal with each of the challenges involved with owning a pet? Aside from giving a pet enough care and attention each day, there are other things to consider. A pet owner must be prepared for certain challenges throughout the lifespan of a pet. These often include: housetraining accidents, scratched furniture, flea infestations, checking for ticks, as well as unfortunate medical emergencies that can occur at any time. Many apartment complexes have high pet fees, as well as breed and weight restrictions for dogs. It is important to always be aware of the animal policies in place for certain residential communities. Is it really the right time for to adopt a pet? Students, people travelling often for work, or people in the military, may want to wait until a more advantageous time to adopt a pet. When a person has finally settled down and has the time and energy for new pets, your new furry family members might thank you. Most animals at adoption centers have been spayed or neutered by the shelter they have been staying at, so you may not have to worry about the responsibility of taking care of little babies. However, are you able to obey community licensing and leash laws, as well as keeping ID tags on each pet as time goes on? A responsible pet owner needs to be able to give pets plenty of companionship, love, routine vet care, a healthy diet, and of course plenty of exercise for dogs. Who will take care of the pet when you are away or on vacation? Have you considered what will need happen to your pet when you have a vacation or other travels planned? 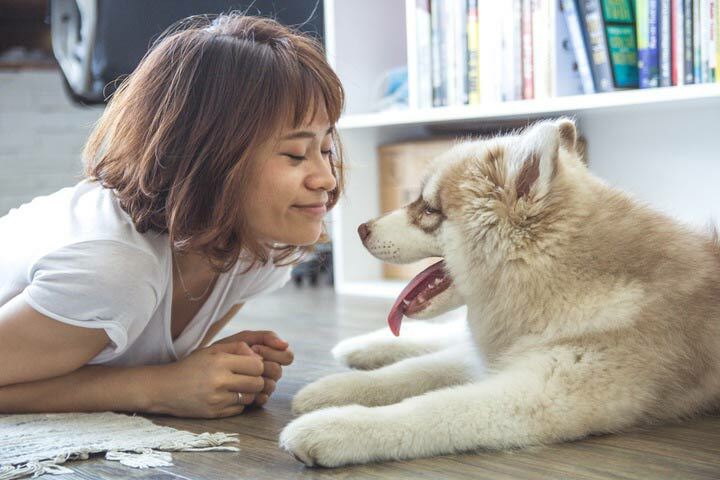 It is important to always have a backup plan, and Paw Pals Pet Sitting is able to provide the best care to certain areas in Fairfax County, VA.
Are you ready to take care of your pet until death do us part? Adopting a pet requires a long-term commitment for an animal’s care and wellbeing. Even among extreme animal lovers, sometimes circumstances present themselves which prevent an owner from being able to take care of a pet any longer. If this is the case, an owner will need to be prepared to find a new home for an animal so it doesn’t end up back in a shelter.